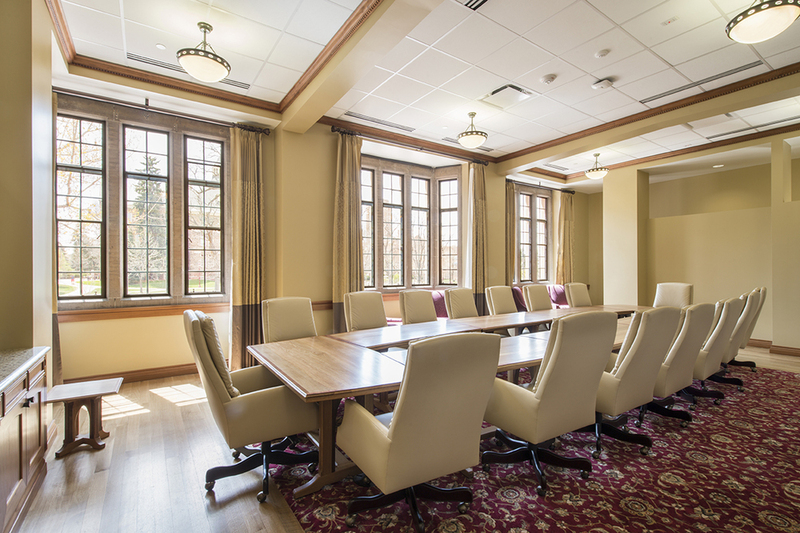 This renovation of the University of Denver’s Margery Reed Hall building includes some exterior restoration, added landscaping elements, and interior renovations and space reallocation to accommodate classrooms and offices for the Daniels College of Business. The highlight of the project is a new presentation hall, a remodel of the old theater that includes installing high-end lighting fixtures, configuring wired stadium seating, restoring the old theater stage, and protecting existing historic murals. Project is LEED Gold certified.